H had a lovely time with his cousins last weekend. They particularly enjoyed seeing the flight of locks through Birmingham city centre. We went for a stroll by the canal and they helped out one couple who were making their way down the flight. There was quite a lot of pushing of lock gates and they were even allowed to ride on the roof of the narrow boat as it descended a lock. Very exciting! We also found time to pop into the BBC offices in the Mailbox and see some of the Doctor Who exhibits that they have there. Also popular at the BBC was pretending to be a weather presenter. H’s cousins had to return home to Scotland and a new school term. I’ve had a busy week with my Mum. There were 3 appointments and we had a lot of equipment delivered. Mum has now moved down from the top floor to the middle floor to sleep (she wouldn’t consider the ground floor). Hopefully, the new equipment will make daily life more comfortable and safer for her. I’m really impressed how quickly it’s been delivered. We had to wait a few weeks for the OT appointment, but she did leap into action when she came. I particularly like the fact that Mum now has a pager so she can call my Dad if she needs help. I’m not sure he’ll be quite so keen on that though. We managed a few days out with friends including a trip to Cannon Hill Park. We did a round of mini golf followed by a picnic lunch. In the afternoon we went for a ride on the boating lake. The boats are swans that carry 2 or 4 people. Us adults sat at the back whilst the boys pedaled and did the steering. The steering was a bit suspect at times and there was much glee at the idea of taking the boat under the branches of the Whomping Willow. We had a lovely day though. The swan boats look fun! It must be a relief to know that your mum has got the extra equipment she needs. Glad H had a good time with his cousins. 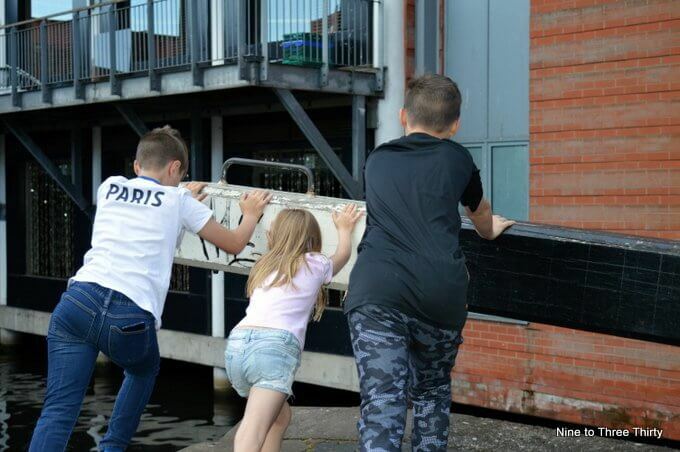 How exciting for the kids to help with the lock gates and ride on a narrow boat. It’s not something you get to do everyday. Hope all the new kit is really good for your mum and pager sounds a really good idea. 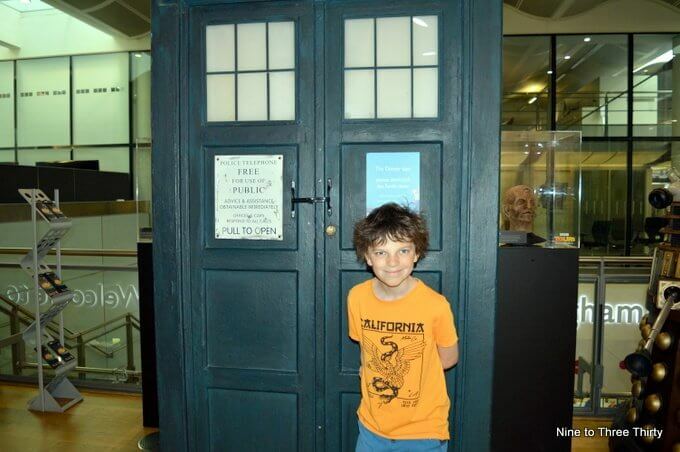 I think I’d be a bit excited to see that Tardis! 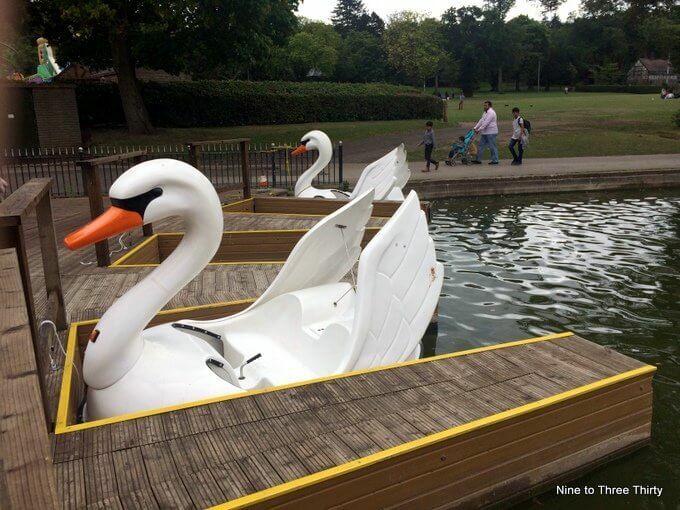 Those swans remind me of Alton Towers, I’m sure they had ones just like that many many years ago. That’s good your mum’s got the equipment she needs. Hopefully it’s more reassuring now. your Dad will be worn out trailing to answer the buzzer, hope it helps with your Mum. Wish we had those swan boats here. They look fun. Glad your mum is getting the equipment she needs. Bet the kids loved getting involved with the locks!